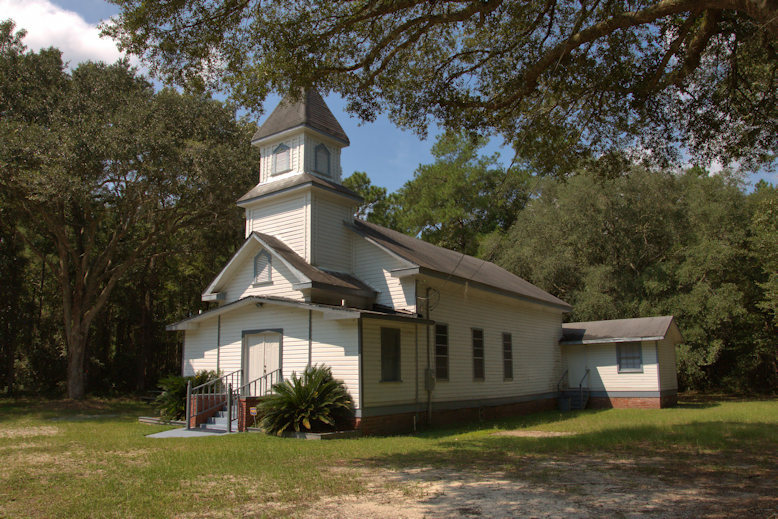 This historic congregation was founded by Reverend Jupiter Gilliard on 23 October 1891. The first deacons of the church were London Gilliard, Charles Harris, Baker Stafford, Sr., and Hector Blue. 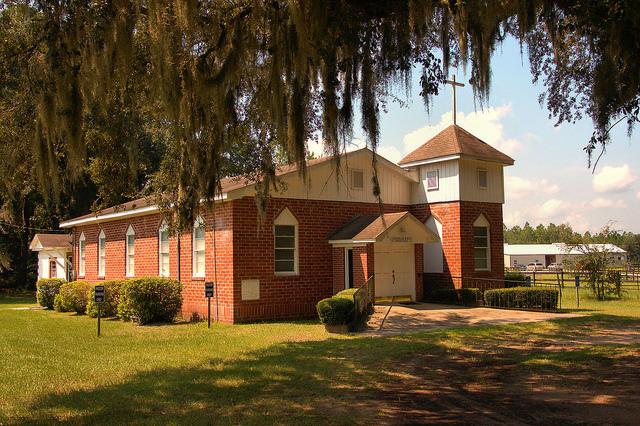 The original church building was replaced with this one in 1954, during the pastorate of Reverend Robert J. Leggett. The cornerstone displays the cipher of the Most Worshipful Prince Hall, Grand Lodge, Free & Accepted Masons, Jurisdiction of Georgia. Reverend Gilliard’s great-great-great grandchildren operate Gilliard Farms, a Georgia Centennial Farm on the adjacent property. It’s been in the family since 1874 and is one of the most important African-American farms in Georgia, due to its history and longevity. Lula & Arthur Wright built this once-grand Folk Victorian around the turn of the last century. When surveyed for Glynn County in 2009, the house still retained a front porch with hand-carved Queen Anne posts. 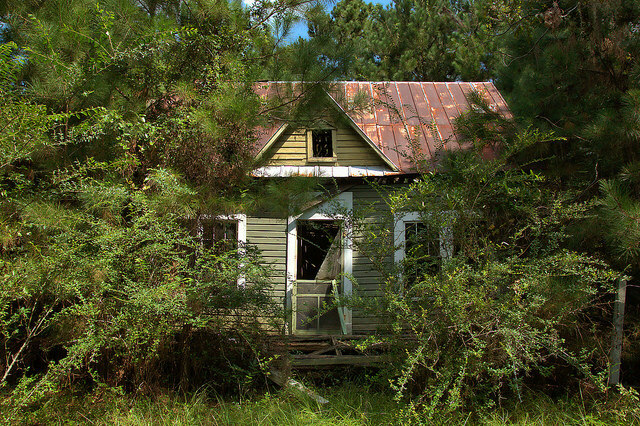 When I found it the other day, the porch had collapsed and the yard was overgrown. It will be a real loss, as it represents a more accomplished architecture than is usually associated with rural black communities of its day.